232 Queens Road #49, Charlotte, NC 28204 (#3458322) :: Caulder Realty and Land Co. This is it! 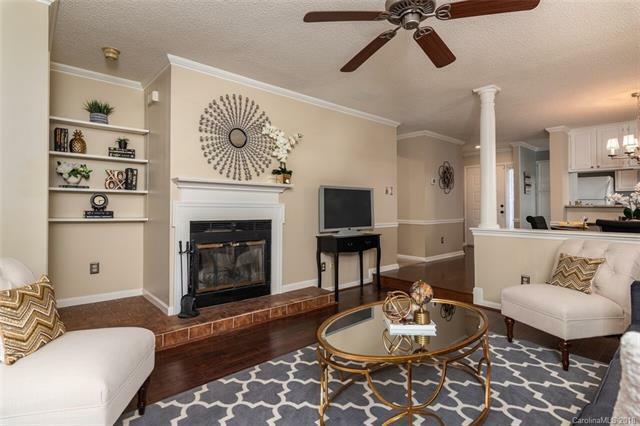 Gorgeous ground level, 2 bedroom/2 full bath condo in Myers Park! Located in desirable Queens Station, this unit has granite counters in the kitchen and master bath, updated fixtures throughout, laminate wood floors, and a huge enclosed patio that would be a dream for entertaining. The unit is open/bright, has a split bedroom floor plan, and there's actually room for storage amongst the jumbo sized laundry room, walk in closet in master bedroom, and cabinets galore in the kitchen! Plenty of visitor parking for your guests, enjoy the salt water pool in the summer! Location could not be better, minutes from interstates, Elizabeth, Uptown, medical campuses, etc. **Tax value reflects newly assessed value pending any appeals.